"Something you want, something you need, something to wear and something to read." I love Christmas. What I don't love however, is getting into debt, buying stuff we don't need, and neglecting the poor. The desire to live within our means so that we can be free to give defines our Christmas gift giving. I want Christmas to feel extravagant for our children, but I don't want to spend extravagantly. With this goal in mind, there are a few strategies that I use each Christmas. Keep Expectations Low- Every year I tell the children that it will be a small Christmas and they won't receive many gifts. I do spend a morning asking them what they would like for Christmas and writing it down, I love hearing what they are dreaming of, but I make it clear that they will not get everything on their list. Use A Formula- I love the phrase, "Something you want, something you need, something to wear and something to read". It has been attributed to Ann Voskamp and is a very good guideline for me on gift purchasing. With seven children, I need a framework to keep the gift purchasing simple. Start Early- Throughout the year, I am constantly on the lookout for good books at thrift stores. These are stored in my closet where I will then divide them up between the children for their Christmas gifts. There is nothing quite like a new book, with a holiday to enjoy reading it. This is a good principle for all gift giving, while being careful not to overbuy or overspend. Wrap Everything- I use Christmas as an opportunity to give my children things that they already need. I may spend a little extra to get day of the week undies, or a bamboo toothbrush, but even necessities should not be taken for granted, and giving them as gifts helps my children recognize that fact. Keep Relationship as the Priority- Throughout the holiday season we try to keep relationships at the forefront. Making time to read through an advent devotional, sing songs, build a puzzle, and reach out to the needy are what the holiday should be defined by. If all my time is spent shopping, the memories will be bitter for everyone. Christmas can be a wonderful time, free of debt and stress, it just might take a little more thought and planning. For more ideas for a simple, thoughtful Christmas, check out the Wild and Free homeschool bundles. The December subscription, Yule is full of beautiful ideas for Christmas celebrations with your children. I’ll be speaking at their conference in Frisco this February, I’d love to see you there! If you need some help to define a budget, and create a more simple Christmas, check out my course, Bountiful Homeschooling on a Budget. If you are searching for a fresh guide to homeschooling your children in the new year, check out our parent guides. 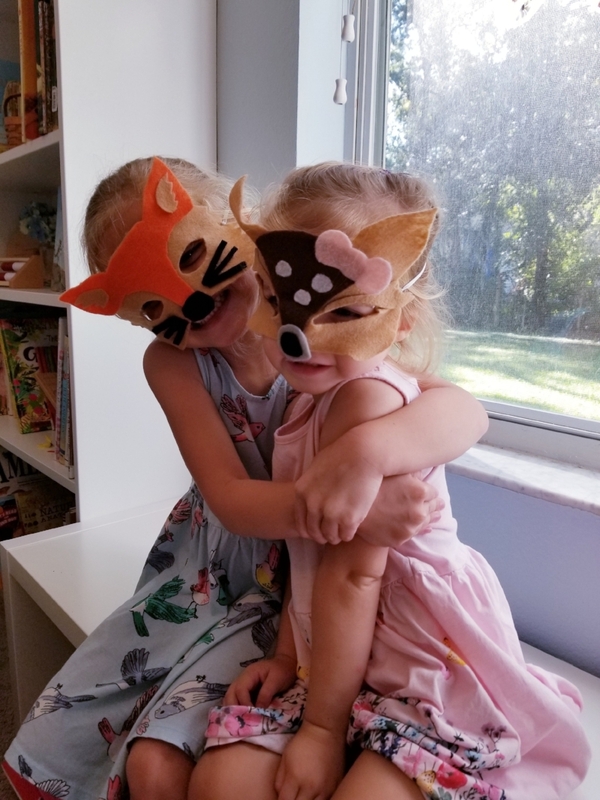 We have year long, and month long resources to bring joy, connection, and learning into your home. Here at The Peaceful Press, we’ve created a heartwarming Christmas Guide. 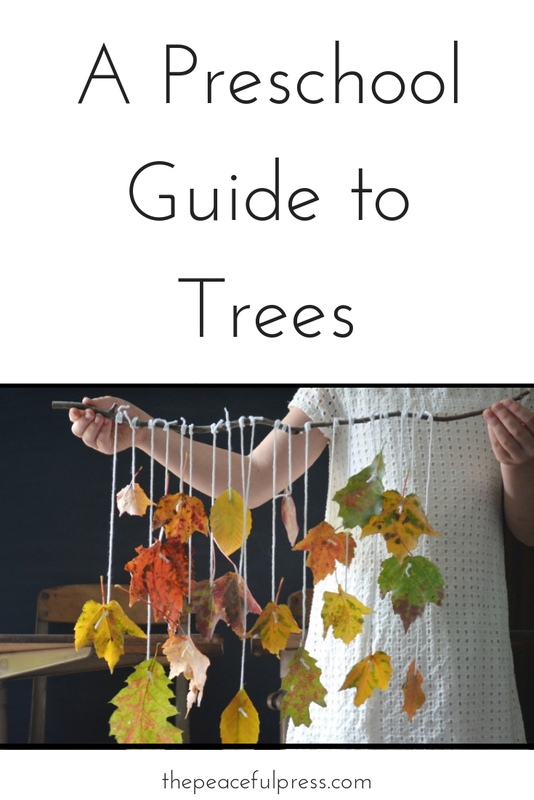 We include nature based crafts, recipes, favorite story suggestions, phonics and counting activities, games, and fine motor activities to make this your best Christmas ever. Click the link below for more information. In our family, we love slowing down over the month of December and settling into a quiet, devotional rhythm. We focus on family togetherness around our fireplace; talking, reading, and baking together as the cold dark days of winter settle in. We love incorporating advent guides into our evening routines, and included a few of our favorites here. 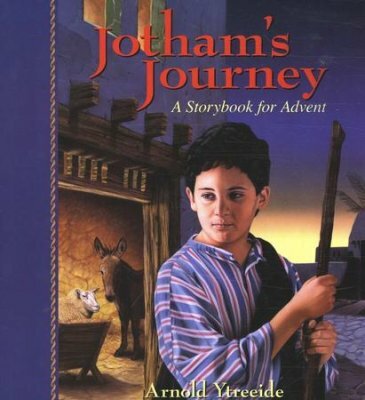 Jotham’s Journey is the advent devotional that we are using with our The Precious People study. It follows a boy in his adventures in Ancient Rome at the time of Jesus birth, and includes daily readings and reflections. Another favorite resource for advent is by our dear friend Jennifer Naraki. Slow and Sacred Advent is a thoughtful four week guide to help your family celebrate the birth of Christ. I printed an early edition of this Jesse Tree themed devotional way back when it was on A Holy Experience Blog. Now you can get a beautiful read aloud edition, with the hopeful and inspiring words of Ann Voskamp to lead your advent celebrations. A new one that we haven’t read yet is by a favorite devotional author, Marty Machowski. We have used his children’s devotional books for the last few years of school and are excited to check this one out. Here at The Peaceful Press, we also created this Christmas Guide. The focus is on fun activities to do with your children over the four weeks of Christmas, including weekly nativity stories, favorite Christmas books, crafts, recipes, handmade gifts, games, and more. What are your favorite resources for celebrating advent? The best Christmas memories are made by hand. And if that is true, then perhaps the worst Christmas memories are those made when we spend the majority of the holiday season in department stores without our children, trying to purchase toys that will be played with for a few days and then forgotten. I love gifts, and giving them is important to me, but often the gift that our children most long for is the gift of our undistracted time. On the other hand, many of us envision making things by hand as just another distraction from our children. When these gifts are difficult projects that must be done solo, we are again forced to choose between time with our children, or time doing something for them, but not with them. A few Christmases ago, we made some changes that have set a precedent for more family time at Christmas. 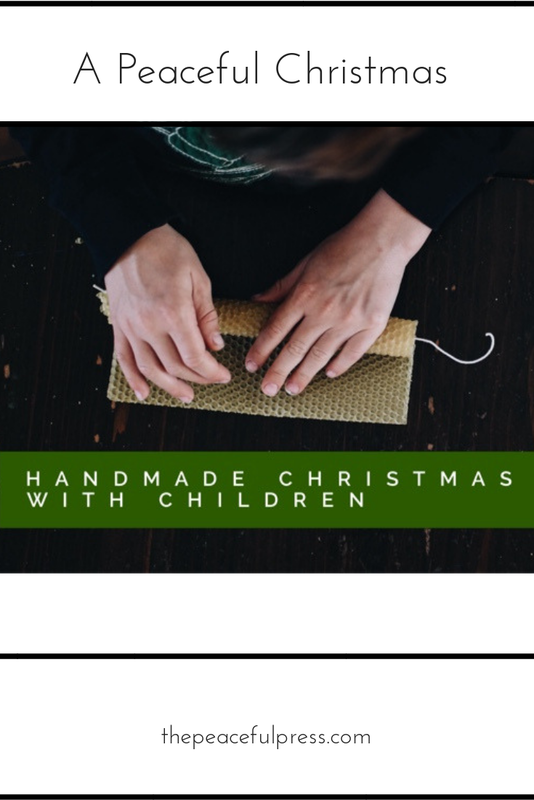 We had a theme of "used or homemade" for Christmas gifts which meant that I would take a few children at a time to hit up thrift stores, or that I was sewing simple gifts for them such as capes and doll blankets, while they worked on their own homemade gifts. By choosing alternative ways to celebrate, including forgoing gifts in exchange for a Christmas vacation, we have been able to lower expectations and focus on family time. However, we still want to have a few gifts on hand for grandparents and friends, and we have chosen to have at least a few of those be handmade. Carefully cut your beeswax sheets in half lengthwise. Cut your candle wick to fit. Place wick at the edge of the beeswax and carefully fold over the first roll. Our two sheets of beeswax made 4 thick candles. You could also cut the beeswax in thirds for thinner candles or cut in quarters for short candles. Soaking in bath salts is a great way to supplement your body with magnesium and get better sleep. 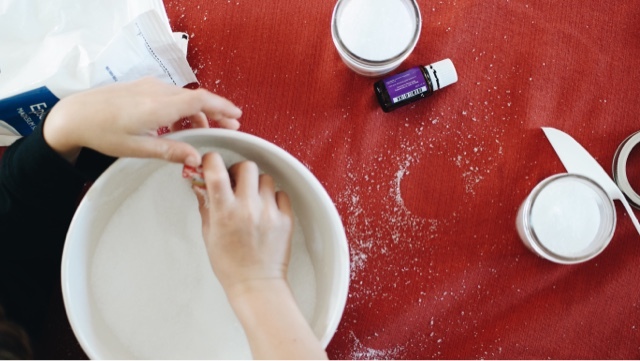 Pour your epsom salt into a large bowl. You could also add himalayan pink salt, dead sea salt, or other mineral rich salts. Add about 15 drops lavender essential oil. 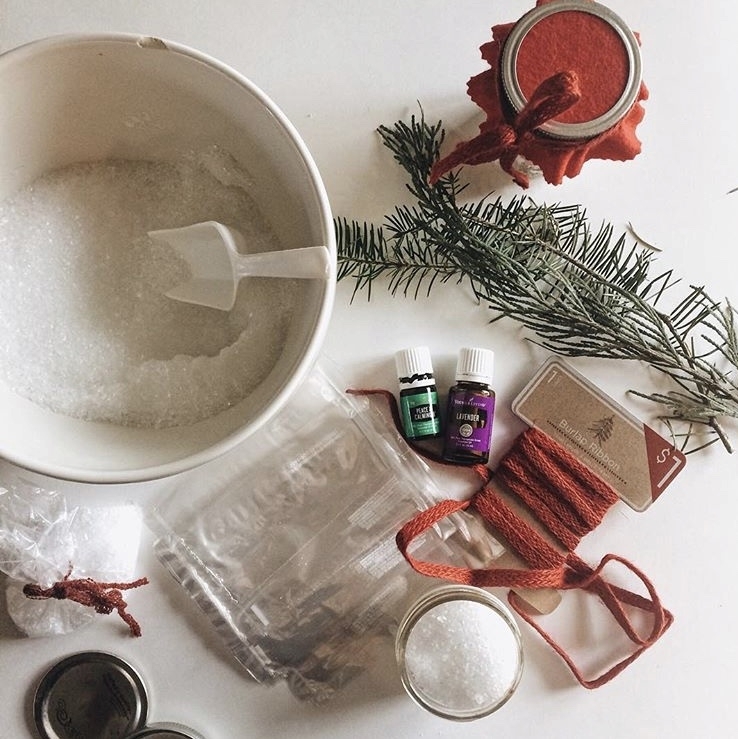 Use a scoop to pour bath salts into jars. Cut circles from your holiday fabric that are slightly larger than your jar lid. We used a gallon size jar lid as a template. Place fabric over lid and then screw on jar ring. Tie ribbon around jar ring and add a gift tag if desired. There are loads of other possibilities for homemade gifts, bean soup in a jar, cloth doll, a simple cape, or even potted plants such as geraniums that you start from a cutting. 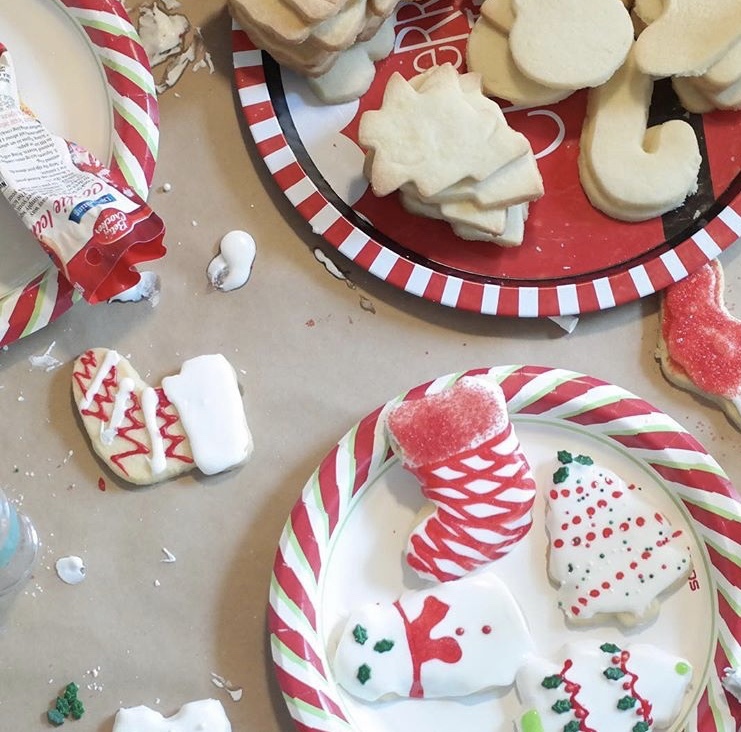 Our new Christmas Guide includes tutorials for several of these activities, along with stories, games, and early learning activities to bring more joy to this holiday season. We can turn the tide on Christmas expectations, and create a holiday celebration that is defined by precious moments spent with our loved ones. If you are struggling to figure out how you can pay for Christmas, please check out my course, Bountiful Homeschooling. When you use code, "Budget" the course is only $18. This post has affiliate links. Thanks for clicking and showing your support. I’m excited about Christmas! We have traveled away from home the last two years, but this year we will be home, and we are planning lots of memory making around crafts, service, and family togetherness. 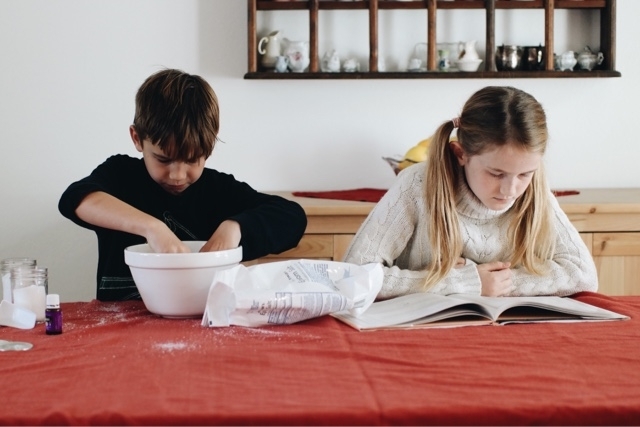 Our new Christmas Guide is full of inspiration for making sweet memories in your family. 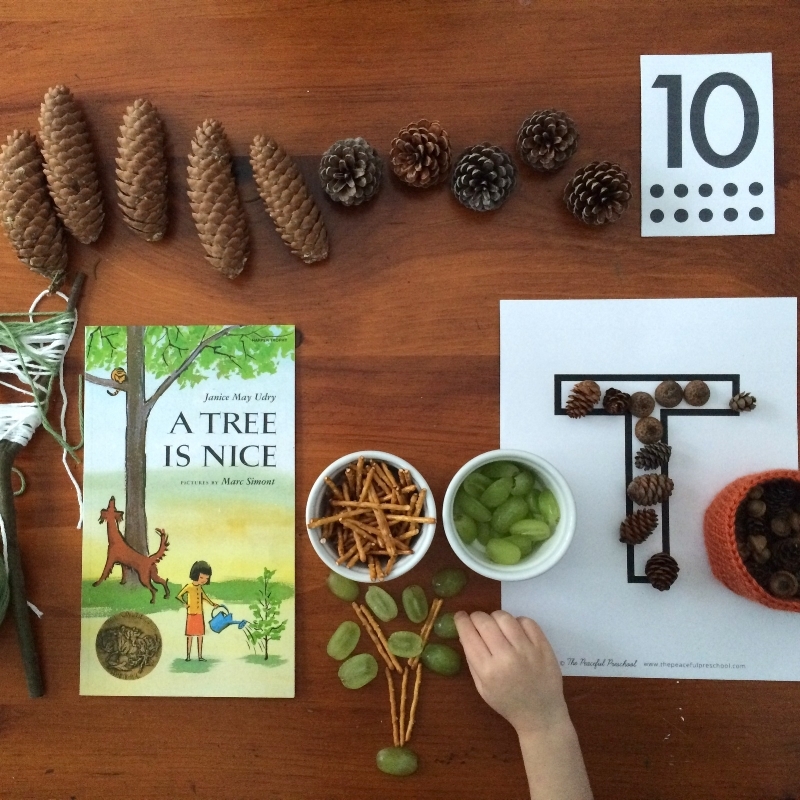 We include heartwarming literature, nature based crafts, and developmentally appropriate counting and phonics activities to create a Christmas to remember. While most of our Christmas celebrations revolve around making memories together, we will also have a few gifts under the tree. We use the guide, “Something you want, something you need, something to wear, and something to read” to help keep our shopping simple and intentional. These are a few items we love that fit into this formula. We’ve also loved experiences and subscriptions for gifts that keep on giving. 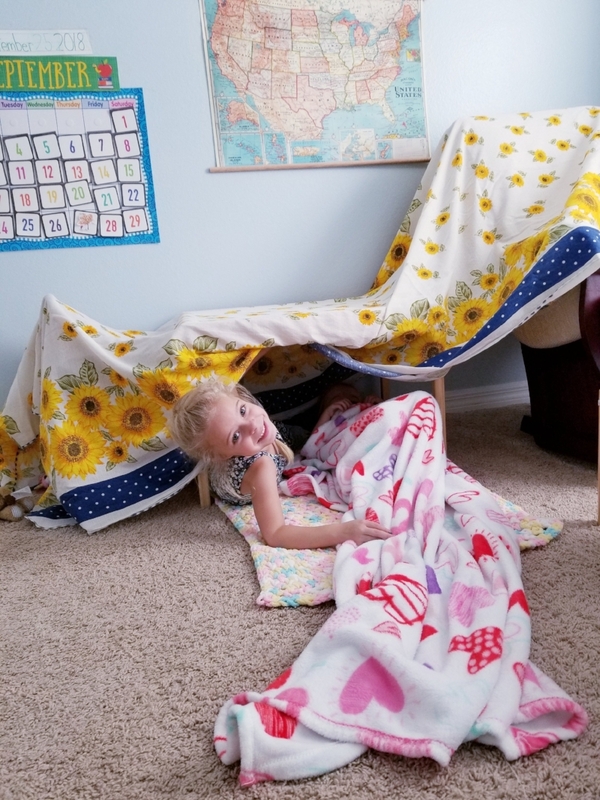 The last two years we’ve forgone presents in exchange for exciting adventures and this year we are enjoying fun monthly boxes from Kiwi Crate. Although you will be inundated by opportunities to buy and spend this season, we want you to know that the most wonderful gift you can give your child is yourself. 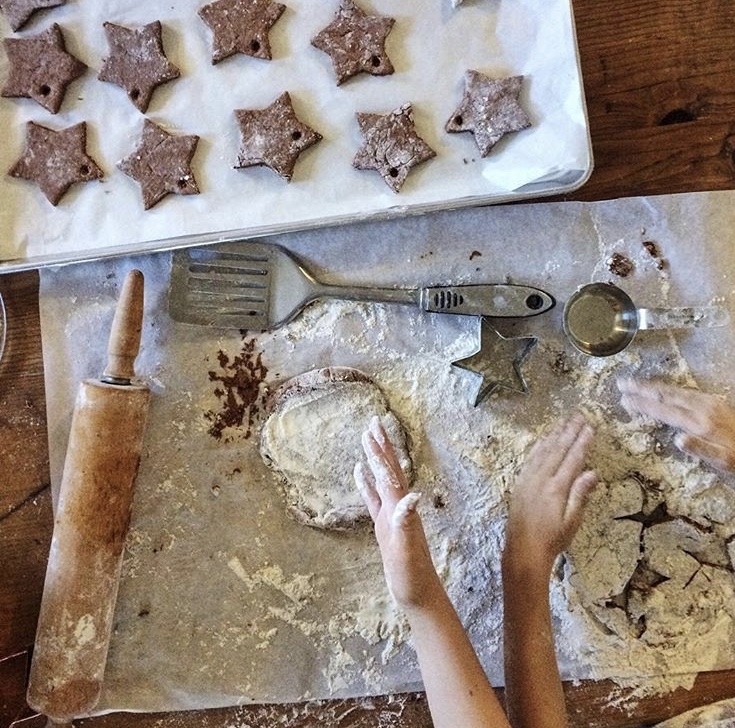 As you read to your child, bake favorite holiday treats, and just hang out, you are building into your child the knowledge that they are a delightful human, and people who feel delighted in, have the confidence to make the world a better place.